Founded by Lewis C. Vaughn, Varina Webb Vaughn, and Winona Webb Jordan, the Vaughn-Jordan Foundation focuses on the areas of horticultural and botanical sciences. 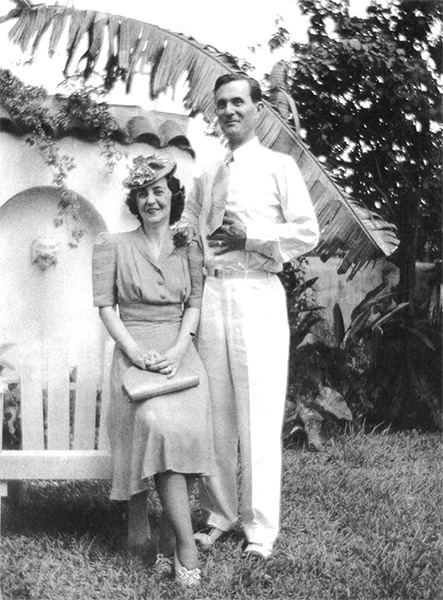 In the late 1930s Mr. Vaughn and his wife, Varina, developed an interest in orchids when they became accredited judges for both the South Florida Orchid Society and the American Orchid Society. The Vaughns were also named honorary vice presidents of the American Orchid Society with Mr. Vaughn serving as its president from 1964-66. The Vaughns had a true fascination with orchids and used hybridization to produce numerous new orchids including the yellow phalanenopsis. Mrs. Vaughn’s sister, Winona Jordan, also devoted much of her time to the art of growing orchids and was known for initiating the practice of using plants in the landscaping of school grounds.